Because all of the Gospel texts for quite a while preachers should know about Visual Bible’s The Gospel According to Matthew, the docudrama of the entire NIV text. A good bio film of one of the following Christians will offer examples of a person who exemplifies the Beatitudes: Brother Son, Sister Moon, Entertaining Angels: The Dorothy Day Story. Preaching Helps (Epiphany 4). Rev. Dawn Chesser, United Methodist Church General Board of Discipleship, 2014. "Honoring the Dishonored," Mark Davis, Left Behind and Loving It, 2017. "Honoring the Dishonored," D. Mark Davis, Left Behind and Loving It, 2014. Evangelectionary, February 2, 2014, Heather Lear, Evangelism Connections. The Lectionary Lab, Epiphany 4, the Rev'ds Dr. John Fairless and Delmer Chilton (aka "Two Bubbas and a Bible"), 2014. Lectionary Lab Live podcast. Ministry Matters, February 2, 2014. Sermon Brainwave, Lectionary podcast featuring Profs. Karoline Lewis, David Lose and Matt Skinner, discussing the week's passages in light of current events. At Luther Seminary's WorkingPreacher.org. 2017. "Recognizing Blessing," David Lose, ...in the Meantime, 2017. "Righteous Living," Karoline Lewis, Working Preacher, 2017. A Provocation of the Gospel, Richard Swanson, 2017. "Marching Women and the Long Journey," Nancy Rockwell, The Bite in the Apple, 2017. Humility, Foolishness, and Blessing, RevGalBlogPals discussion and commentary, 2017. "Those Who Bring Hope," Michael Simone, America: The National Catholic Review, 2017. "Wisdom and Fooishness and Blessings and Woes," Lynn Miller, Art & Faith Matters, celebrating our creative and living God by generating art and architecture resources for congregations and individuals. Art and Faith Matters facebook page contains additional resources. "To Be Honourable Is To Be Human," Andrew Prior, 2017. We Are Called, Sharron Blezard, Stewardship of Life, 2017. "Who Is Blessed?" Melissa Bane Sevier, Contemplative Viewfinder, 2017. "Blessed Are Who?" Emily Kahm, Modern Metanoia, 2017. "Two Kinds of Blessedness," Glenn Monson, Law & Gospel Everywhere, 2017. "The Beatitudes: A Road Map for the Reign of God," Janet H. Hunt, Dancing the Word, 2017. Tuesday Lectionary Leanings, How Shall We Live? Edition, RevGalBlogPals lectionary discussion, 2014. "On Beatitudes and Blessings," David Lose, Working Preacher, 2014. 2011. "Enjoy the Super Bowl; Be Suspicious of Its Values," Matthew L. Skinner, ON Scripture, Odyssey Networks, 2014. Video: 5 Things You Don't Know about...The Big Game. "Have a Blessed Day!" Alyce M McKenzie, Edgy Exegesis, 2014. 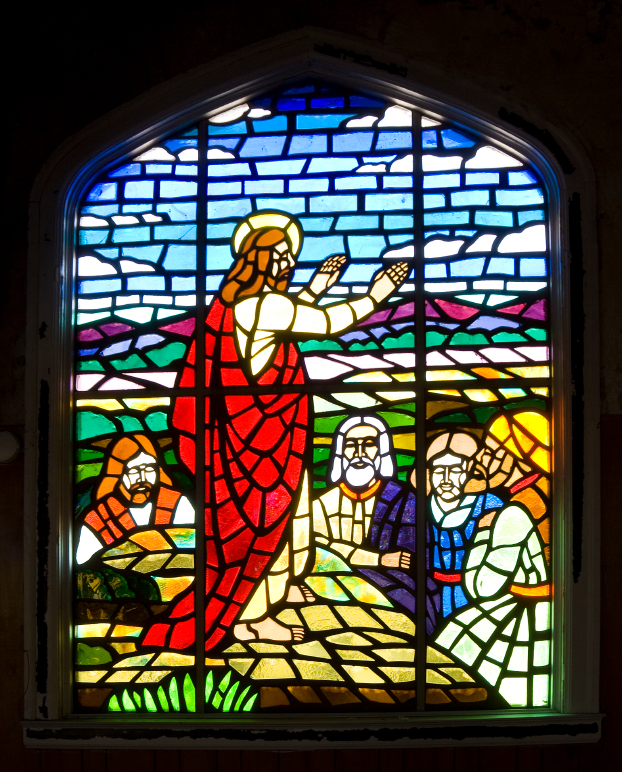 "Live Different: The Beatitudes of Jesus," Dan Clendenin, Journey with Jesus, 2014. 2011. "Blessed Are the Poor in Spirit," Janet H. Hunt, Dancing with the Word, 2014. "Being Blessed," Thomas Beam, 2014. "Glimpsing the Kingdom," Andrew King, A Poetic Kind of Place, 2014. "Tracking the Radical Jesus," Peter Woods, The Listening Hermit, 2014. "Consider Your Own Call," Sharron R. Blezard, Stewardship of Life, 2014. "Signs of Blesiing," Bob Cornwall, Ponderings on a Faith Journey, 2014. Liberal Lectionary Resources, Dr. Mary Lautensleger, 2014. "Christianity for Dummies," David Sellery, 2014. "The Shock of Blessedness," Suzanne Guthrie, At the Edge of the Enclosure, 2014. The Painted Prayerbook, "Litany of the Blessed," Jan Richardson, 2011. Use of images. Lectionary Blogging, Epiphany 4, John Petty, Progressive Involvement, 2011. "God's Love Language," Sharon R. Lucas, Stewardship of Life, 2011. "Get the Picture?" John van de Laar, Sacredise, 2011. Dylan's Lectionary Blog, Epiphany 4. Biblical Scholar Sarah Dylan Breuer looks at readings for the coming Sunday in the lectionary of the Episcopal Church, 2005. "Blessing as Freedom," Pilgrim Preaching, Keeping company with biblical texts and the people who hear and preach them, a weblog for preaching, by Mary Hinkle, Luther Seminary. "The World Turned Upside Down," James A. Kelsey, Proclaiming Gospel Justice, The Witness, 2005. "The Power to Bless" by Jim Somerville. A Sermon for Every Sunday: video sermons from America's best preachers for every Sunday of the Liturgical Year. "Inner Peace," Sil Galvan, 2017. "The Beatitudes," Frederick Buechner Sermon Illustrations. "Blessed Are Those Who Mourn," the Rev. Carol Howard Merritt, Day 1, 2011. "It's All Foolishness," Faith Element, 2014. "Beatitudes in the Desert," study guide for adults, Robert B. Kruschwitz, (other resources at) "Sermon on the Mount," Christian Reflection, The Center for Christian Ethics at Baylor University, 2008. "Who Are the Meek?" study guide for adults, Robert B. Kruschwitz, (other resources at) "Consumerism," Christian Reflection, The Center for Christian Ethics at Baylor University, 2003. "Prophetic Mysticism," study guide, Robert B. Kruschwitz, (other resources at) "Mysticism," Christian Reflection, The Center for Christian Ethics at Baylor University, 2005. Worship Planning Helps (Epiphany 4): Worship & Preaching Notes, Hymn Suggestions and Worship Resources from the United Methodist Church General Board of Discipleship. Taking Worship Home, Breen Sipes, Tri-Saints Lutheran Parish, 2017. LCA Worship Planning Page, Epiphany 4A, 2017. "Everything lay-readers need to prepare worship." The Sermon on the Mount, A Worship Service of Lessons and Songs, Carolyn Winfrey Gillette. Mustard Seeds, "Paradox," Epiphany 4, 2014. A lectionary-based ideas resource for leaders of contemporary worship, Ann Scull, Gippsland, Australia. Worship Resources, Epiphany 4A, 2011, John van de Laar, Sacredise. Lectionary Liturgies, Ordinary 4A, Thom M. Shuman, Presbyterian Church (U.S.A.). Worship and Liturgy Resources, Ordinary 4, by Rev David Beswick, Uniting Church in Australia. Liturgy for the Celebration of Life, Epiphany 4A, 2011. Liturgies from a Progressive/Post-Liberal Theology, Revd Rex A.E. Hunt, Uniting Church in Australia. Laughing Bird Liturgical Resources, Epiphany 4, by Nathan Nettleton, South Yarra Community Baptist Church, Melbourne, Australia. Prayers, blessings, Eucharistic prefaces and scripture paraphrases. The Billabong, Epiphany 4, by Rev Jeff Shrowder, Uniting Church in Australia: Hymn suggestions and paraphrases of lectionary Psalms. Lector's Notes, Ordinary 4, Gregory Warnusz, Saint Jerome Parish, Bellefontaine Neighbors, MO. Notes and commentary for those reading this week's lectionary texts to the congregation. Creative Closing, Ordinary 4, George Hartwell, at Richard J. Fairchild's Sermon & Lectionary Resources. "Liturgy: prayer reflection", (NZBP) reflections on the collect at the Eucharist, Rev. Bosco Peters, New Zealand. 21st Century Worship Resources, Epiphany 4, UMCDiscipleship.org. Offertory Prayers, Epiphany 4, UMCDiscipleship.org. The Timeless Psalms: Psalm 15, Joan Stott, prayers and meditations based on lectionary Psalms, 2011. Prayer for Epiphany 4A, RevAbi, RevGalBlogPals, 2011. The Timeless Psalms: Psalm 15, Joan Stott, prayers and meditations based on lectionary Psalms, 2014. HermanoLeón Clipart, Sunday 4. Free clipart, backgrounds, slides, etc. Clip Art, Ordinary 4, Fr. Richard Lonsdale, Resources for Catholic Educators. Clip Art Images: Matthew 5:1-12, Misioneros Del Sagrado Corazón en el Perú. 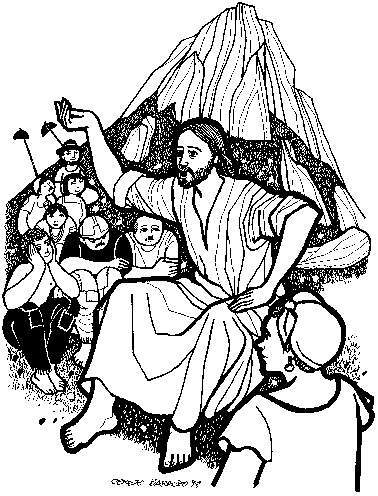 Sermon on the Mount (Blessings), audio telling, story in episodes, graphic, audio and written commentaries. Go Tell Communications, Biblical Storytelling for the Global Village, 2011. "Flashlight," video, John Stevens, Dollar Store Children's Sermons, 2014. “Blessed Are the Poor in Spirit” Text: Carolyn Winfrey Gillette, Tune: NETTLETON 8.7.8.7 D (“Come, Thou Fount of Every Blessing”) This hymn is part of "The Sermon on the Mount: A Worship Service of Lessons and Songs." "God, With Joy We Look Around Us," original hymn for Race Relations Sunday by Carolyn Winfrey Gillette. Tune: REGENT SQUARE "Angels, from the Realms of Glory"
"Rejoice, Friends, and Be Delighted!" TEXT: Mark Ryman (2005) based on Matthew 5:1-12. TUNE: "Wycliff." New Hymns for the Lectionary. Hymns of the Spirit Three, Epiphany 4A, Richard E. Hurst, Universalist National Memorial Church. Psalm 15 set to The Solid Rock (88 88 88) by Dale A. Schoening, Metrical Psalms. Hymn and Song Suggestions, Epiphany 4A, 2017, annotated suggestions from Natalie Sims, Singing from the Lectionary. Lectionary Hymns, Epiphany 4, UMCDiscipleship.org. Shepherd Sounds, Epiphany 4. Background information for hymns and choral music following the lectionary from the Episcopal Church of the Good Shepherd, Austin, Texas, by Eric Mellenbruch and David Zersen. Liturgical Planning and Music Suggestions, Ordinary 4, CanticaNova Publications. Together to Celebrate, 2 February 2014, David MacGregor, Uniting Church in Australia. Contemporary Christian Music resources. Lectionary Puzzles, Epiphany 4. Word search puzzles in RTF or plain text, by Reg McMillan, St.Stephen's Presbyterian Church, Peterborough, Ontario. Gospel Puzzles for the Lectionary, Epiphany 4A, Mark Ryman, edoxy.com. "Storypath Lectionary Links: Connecting Children's Literature with our Faith Story," February 2, 2014, Union Presbyterian Seminary. Connections: Micah 6:1-8 and Tawny Scrawny Lion by Kathryn Jackson,1 Corinthians 1:18-31 and Ordinary Mary's Extraordinary Deed by Emily Pearson, Matthew 5:1-12 and I Like Myself! by Karen Beaumont. "Weekly Devotions," Faith Formation Journeys, 2014. "Directions," Fran Woodruff, On The Chancel Steps, 2014.